It’s been nearly a week since our last break of February Half Term commenced. It’s been and gone (far too quickly!) and already we’re beginning to look forward to the next holiday; Easter with a large side of relaxation and chocolate! As the first break of the year, February Half Term introduced lots of brand new and exciting entertainment to our guests that will be taking to the Butlin’s stages throughout 2017. 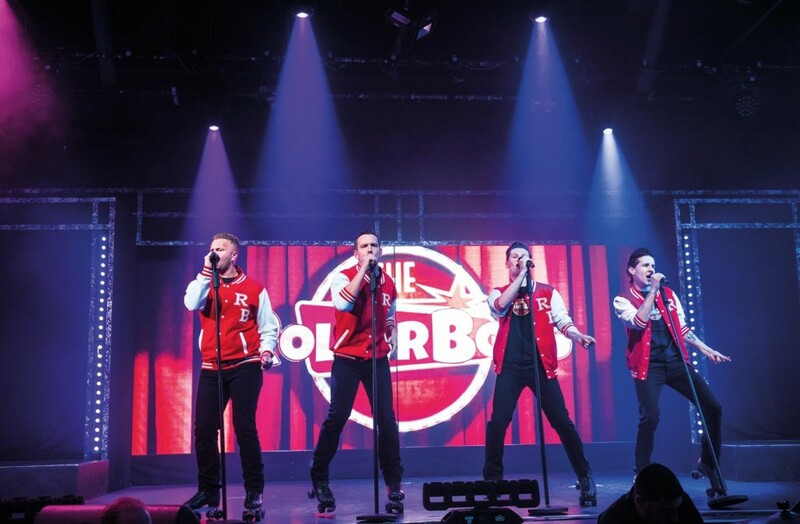 Amongst the likes of Sam & Mark, the Telebubbies, Mr Men Little Miss, and our adventurous new panto Whittington Rocks, we saw some particularly vocal artistes light up Centre Stage; The Rollerboys! Who came up with the idea of putting The Rollerboys together? The group was created by Michael Quinn, his idea was to have an awesome vocal group like The Four Seasons but with one major difference… they’d be on roller skates. Starring as lead role ‘Greaseball’ in Andrew Lloyd Webber’s production of ‘Starlight Express’, Michael’s definitely no stranger to Butlin’s as he started his career here back in 1998 in the musical ‘The Mask’. What’s difference about The Rollerboys compared to any other group? The main difference is that we have 8 wheels attached to the bottom of our feet, we could fall at any second! 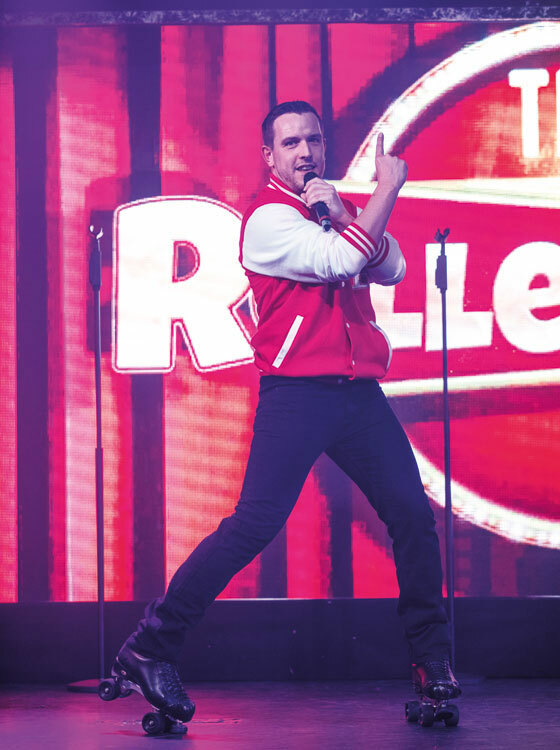 What are you looking forward to most about performing at Butlin’s? We can’t wait to perform for the Butlin’s crowds. The show will appeal to all generations; it’s 1950s rock-n-roll with a twist. Butlin’s is known by everyone and we’re very proud to be having our first British premiere in these awesome venues. What can our guests expect from your show? Something they have never seen before. 4 West End professionals on wheels who are ready to rock and roll the night away. Songs they can snap their fingers to and hopefully songs that will get them all up dancing. Why did you pick 50s rock-n-roll as the music for this show? We felt that 50s rock would appeal to everyone because there’s so many great classics from Elvis, Buddy and little Richard just to name a few. We’ve even added a modern twist to some of the songs to get the younger listeners excited about the music. How hard is it to perform whilst on skates? The skates sometimes have a mind of their own so with this in mind we have to be very careful about how excited we get during a performance. Keep your eyes peeled as you may just catch one of the boys on their bum at some point, but we always just laugh it off and carry on! Did you learn to skate for the show or did you have the skills before? We were all trained by a skating genius named Michal Fraley; he’s the main skate coach for ‘Starlight Express’ all over the world. We all had to take part in a 4 month skate school from 9 to 5 every day before they let us work on the show. It was the best thing that we’ve ever done but also definitely the hardest! Michal’s training has made us the skaters we are today so we thank him for everything. Did you all perform in Starlight Express, and collectively how long for? We’ve all performed in the show at different times, either in Bochum Germany, on the UK tour, International tour or in London’s West End. We’ve got at least 10 years of ‘Starlight Express’ in our blood. Do you have any worries about performing in this show? We can’t wait to get into Centre Stage and give Butlin’s a night they won’t forget! We’re not nervous, if we fall we fall, we just make sure we get back up! 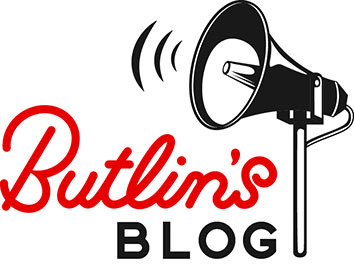 We hope you’re as excited to see us as we are to come to Butlin’s because we can’t wait to take you on a roller coaster ride back to the 1950s! See you all soon. You can catch The Rollerboys on every school holiday break this year, except our Festive breaks. If you’ve already seen them on our February Half Term breaks, let us know what you loved the most about their show by tweeting us, commenting on Facebook or sending us a snap of your favourite captured moment!